The example code described below was programmed using Python version 3.5.2. You can download Python here. This example code uses Python QT (pyqt5) library. You can download QT here. You can also download Anaconda, a selection of useful python packages for scientific programming, here. 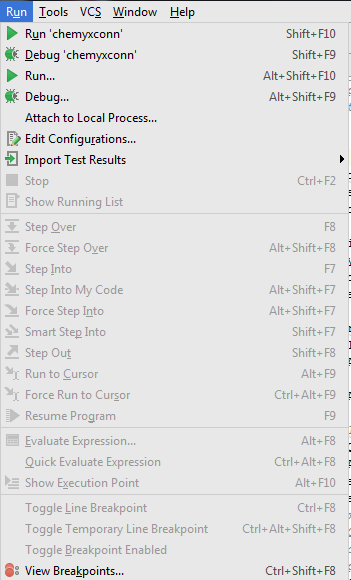 Once downloaded, open up the project in your favorite Interactive Development Environment (IDE). There are a lot of options for an IDE. 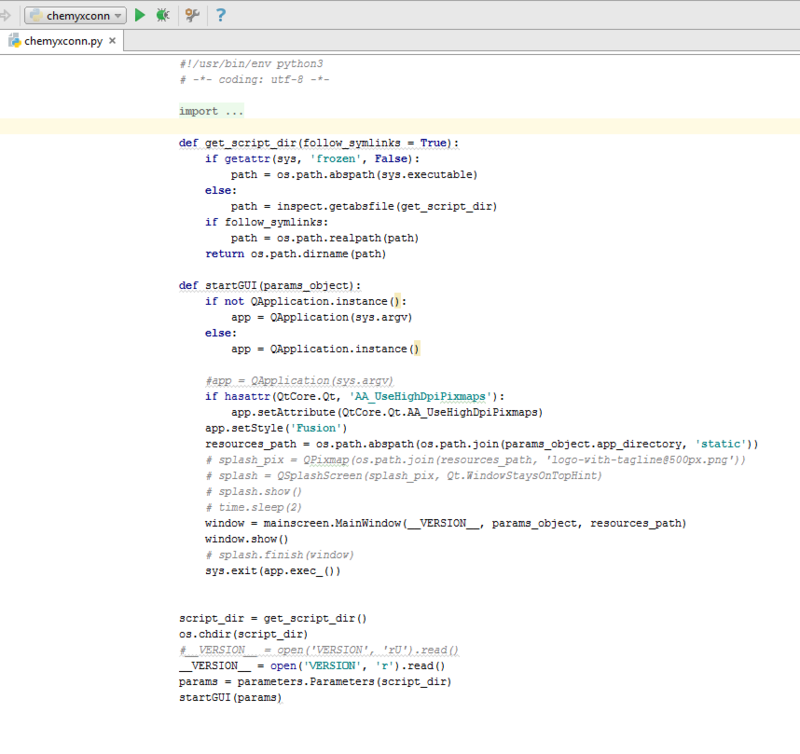 Two good options are PyCharm and Spyder. Spyder should install with Anaconda. In PyCharm you can open the proejct by going to File->Open. 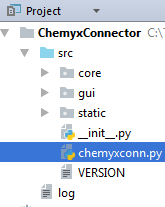 Navigate to where you downloaded the example and select ChemyxConnector. Your screen should be showing the chemyxconn.py script. You can run chemyxconn.py by pressing the green arrow as long as the drop down menu to the arrow’s left shows that chemyxconn is selected as seen in the image. Another option is to go to the Run drop down menu and select Run ‘chemyconn’ as seen in the image below.